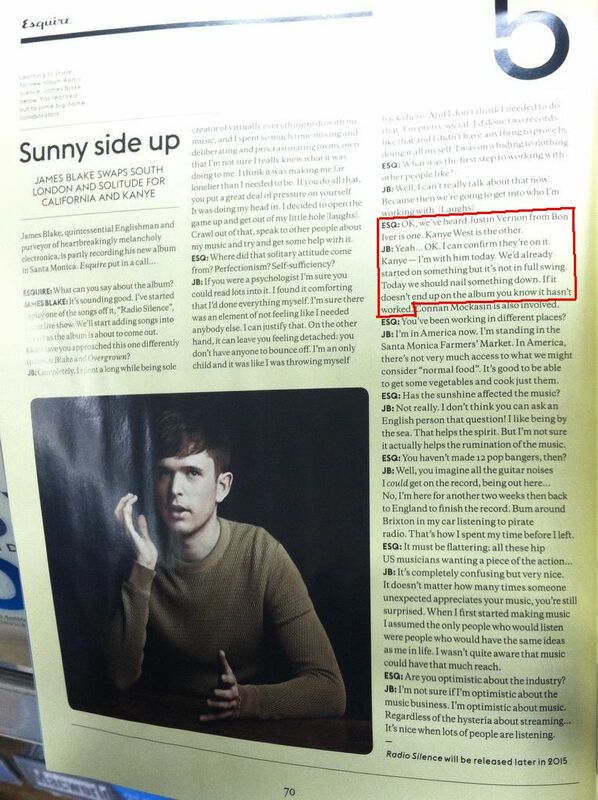 James Blake tells Esquire that both Bon Iver and our Lord Yeezus will feature on his forthcoming long player. After announcing the working title of his new LP back in January, James Blake ramps up the anticipation further by telling Esquire that Radio Silence will star collaborations with both Kanye West and Bon Iver. “I can confirm they’re on it. Kanye — I’m with him today. We’d already started on something but it’s not in full swing. Today we should nail something down. If it doesn’t end up on the album you know it hasn’t worked” he told the magazine. Watch James Blake perform new material at Big Guava Fest in the USA below. More like this? Read our interview with Werkha.